Born in Berlin and brought up in Dresden, photographer, painter, draughtsman and illustrator, Alfred Otto Wolfgang Schulze adopted the abbreviated pseudonym ‘Wols’ at the time of the 1937 Paris World’s Fair when he was commissioned as official photographer for the Pavillon de l’Elégance. Previously, Wols held an internship with Dresden photographer, Genga Jonas (1931), studied ethnology at the Afrika-Institute in Frankfurt (1932) before a brief experience at Mies van der Rohe’s Bauhaus Institute in Berlin where he was encouraged by László Moholy-Nagy to go to Paris. There, he began working as a photographer. Despite travels to Spain, the Balearic Islands and the numerous attempts to immigrate to America, it was in Paris that Wols settled and made the acquaintance of people such as Fernand Léger, J P Sartre, Max Ernst and Jacques Prévert and became a major figure in Taschisme: ‘l’art informel’. Wols’ photographs vary from close-up portraits – from which he made an occasional living – to still lives of skinned animals often juxtaposed with ordinary objects. These latter have some relationship to Frederick Sommer though it is unlikely the two knew each other. His work has been and continues to be exhibited in solo and group exhibitions in Europe and elsewhere. His work is held in major German and French collections as well as at The J Paul Getty Museum. Two of his post War illustrated books are held at the National Gallery of Australia, Canberra. 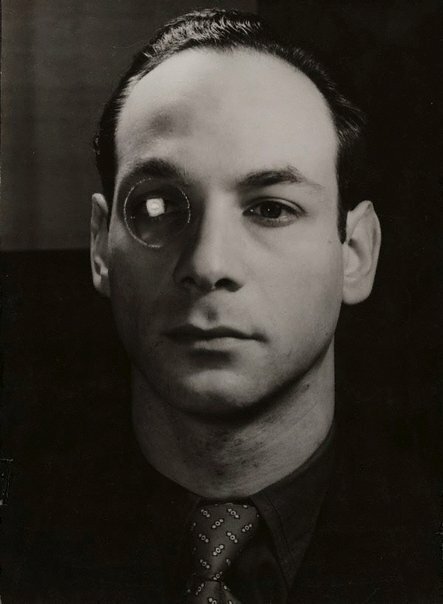 As a German national, his photographic career was cut short on the outbreak of WWII by the confiscation and destruction of his photo equipment and his fourteen month internment as an enemy alien in several French prisons. After the War he worked mainly as a painter until his death in 1951. Unknown, La trajectoire du regard: une collection de photographies du XXe siècle. , 2006, 315 (illus.). Unknown and Unknown (Editors), Portraits of an age: photography in Germany and Austria, 1900-1938 , 2005, 71 (illus.). Unknown, Unknown and Unknown, Wols: photographien, aquarelle, druckgraphik , 1988, (illus. ).